Charmaine R. Parker is a former journalist who worked as a reporter, copy editor and managing editor. The sister of bestselling author, Zane, Parker grew up in Washington, DC, and is married with a daughter and lives in Maryland. Visit the author at www.facebook.com/charmainerobertsparker. Urban Reviews: Can you tell us about The Next Phase of Life? Charmaine R. Parker: Tai Wilson, owner of a successful employment agency based in Washington, D.C., has just turned forty. She believes that she has found Mr. Right but when the relationship falls flat, she discovers that her ideal mate is at her back door and an unlikely prospect. She and her two sidekicks, Candace, a fashionista; and Nevada, a journalist turned detective, enjoy their adventurous lifestyle. Tai’s longlost sister, Trista, whom she was separated from as a child, finds her on Facebook and the two reconnect when Trista moves from N.C. to D.C. to live with her older sister. The two discover they are opposites. The story spins romance, spice and suspense while promoting camaraderie among friends and sisters. Charmaine R. Parker: It was based on the idea that in relationships, opposites can connect and be successful. Sometimes one must look beyond what appears as an “ideal” romantic partner. It was also to show that siblings can be different but yet bond. I’ve always believed that friends are important and my novel features a close-knit trio. I have discovered that life is short and it’s important to live each day to the fullest. During the writing of the novel, I lost some close friends suddenly and this helped to fuel my theme that friendship bonding is healthy. Urban Reviews: Do you recall how your interest in writing originated, and what things did you do to learn the craft? Charmaine R. Parker: I started writing creatively as a young child and this included poems, short stories and skits. I had a vivid imagination that may have stemmed from traveling. I can remember as far back as age seven when I wrote a poem about Disneyland. My parents enrolled me in book clubs where I received monthly selections. Being an avid reader at a young age contributed to my interest in writing. Later, I entered graduate school to study journalism. While I focused on writing news and feature stories, I was able to learn how to craft articles. The transition from fiction to nonfiction and back to fiction was natural. Instead of collecting details for a news story I was able to create fictional characters, once again using my imagination that was prevalent during childhood. Urban Reviews: Some readers may not know that you are Zane's sister. How instrumental was Zane in helping with this project? Charmaine R. Parker: Zane liked my initial synopsis and she actually gave me the title when I became stuck on creating one. Zane believed that my main characters were all moving on to the next phase. She was the only editor on the project. She didn’t have any content suggestions; and told me not to make a single change. She had great faith in my writing and novel. I appreciated her feedback and honesty. She is a critical editor and when she lacked any comments for revision, I knew that she truly had enjoyed my project. Charmaine R. Parker: Some readers have suggested that I follow up with a sequel. Originally, I had not planned to write one, however, I did leave the novel open so that I could revisit the characters in the future. I’ve already thought of ideas of where they could be now. I have a totally different novel in mind for my next project with all new characters. I possibly may write the sequel as a third book. Urban Reviews: Who were some of your favorite writers over the years? Are there any new authors that have grasped your interest? Charmaine R. Parker: Of course, Zane is one of my favorites and not only because she is my sister. She gave me the manuscript to edit for Addicted before she self-published it and I was fascinated with her writing. It became extremely popular and a top bestseller for years. One of my favorite all-time novels was the classic Manchild of the Promised Land by Claude Brown. I was introduced to urban fiction long before it became as popular as it is now. As a child, I loved mysteries and the Nancy Drew series was my favorite. Since working with Strebor Books, I have various new authors whom I enjoy. I don’t read as often since I’m editing manuscripts, but I like the co-written novels by Blair Underwood, Tananarive Due and Steven Barnes. I have a large book collection and hope to read more new authors someday. Urban Reviews: What was the hardest part of writing your book? Charmaine R. Parker: It was finding time to devote to writing. My schedule was hectic and I had work and outside projects the entire time I wrote the novel. However, I found that the late-night hours were best for me. There were distractions during the day but I realized that nighttime was quiet and I could focus better. I wrote my first chapter starting at midnight. 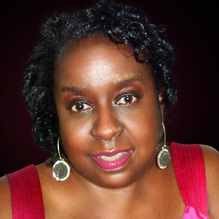 Charmaine R. Parker: The industry is facing many challenges and with the demise of the independent bookstores and major chains, it shows that publishers and writers have to think outside of the box. Social media is a key to promotion as fewer readers are purchasing books or discovering them traditionally from stores. The expos and festivals that were once extremely popular have downsized. I do believe that the old-fashioned word of mouth can still be one of the best methods to grab readers. E-books are ideal and convenient for those who do not want a hard copy, however, some readers still prefer a book that can be autographed. At a recent signing, a bookstore employee downloaded my book, then had me autograph the back of her business card. She then placed it in the cover of her device. I thought that was a unique way to collect autographs for e-books. Many authors may be disappointed with the growing popularity of the e-books but they are translating into sales. And as with technology in all areas of life, we have to accept it. Charmaine R. Parker: Authors appreciate the continued support of readers as it is a challenge to craft a book. The production process, which I’m involved with, is a long journey. There is a magnitude of time and energy behind the scenes in publishing to transform from manuscript to the final product. For aspiring authors, I would suggest that it is necessary to have your manuscripts edited. It is such an important part of the process and a manuscript that is well-edited will garner more attention from an acquisitions editor. It shows that you have taken your work seriously. For authors, I suggest that you must have an open mind and be prepared to promote to your best ability. I always go back to what Zane once said as publisher: She can get an author’s book on the shelf, but it’s up to the author to get it off. You do have to be proactive to be successful. Order your copy of The Next Phase of Life today!